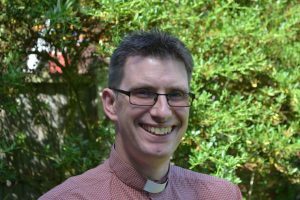 Hi, I’m Steve and I became the rector (just another name for vicar!) at the Church of the Good Shepherd in June of 2016. I’m married with three children, our eldest is seventeen and our youngest two are primary-aged at one of the other local Primary Schools; so you’ll probably bump into me at one of the various local parks and playgrounds! 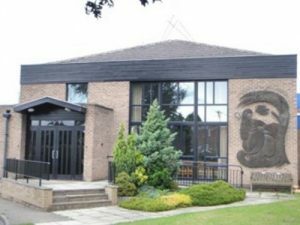 A long, long time ago I used to be a primary school teacher and I simply love working with primary aged children, I am really pleased that I will be regularly coming into Canon Popham School to lead assemblies and probably some other activities too. I look forward to beginning to get to know your children and you. If I’m not at a park or a playground or at your school, I can also be found at one of the various family-orientated activities which we are developing at The Church of The Good Shepherd; we have a lively, family-orientated service on the first Sunday of every month (where I’ve regularly been known to play air-guitar!) and our Messy Church events (where I’ll be up to my neck in glue, paint and glitter!). You can keep an eye out of what’s coming up on our Facebook page (@COGSDoncaster) or I can also be contacted on 01302 882861.